Pre and Post Kidney transplant. Scott D. McDowall, MD is Board Certified in Nephrology and Hypertension. Acute Kidney Injury, Chronic Kidney Disease, High Blood Pressure, Kidney Stones, Acid Base & Electrolyte Disorders, End Stage Renal Disease, Dialysis and Post-Kidney Transplant Care. Dr. McDowall is a board-certified nephrologist practicing in St. Augustine, Florida. He completed his medical education through New York Medical College’s Fifth Pathway program in Valhalla, New York. He trained in both internal medicine and nephrology at the University of Medicine and Dentistry of New Jersey, New Jersey Medical School Campus in Newark. 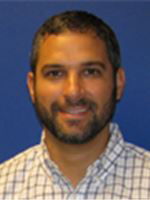 He has been in private practice since 2007 and living in St. Augustine since 2009. He specializes in Acute Kidney Injury, Chronic Kidney Disease, High Blood Pressure, Kidney Stones, Acid Base & Electrolyte Disorders, End Stage Renal Disease, Dialysis and Post-Kidney Transplant Care.